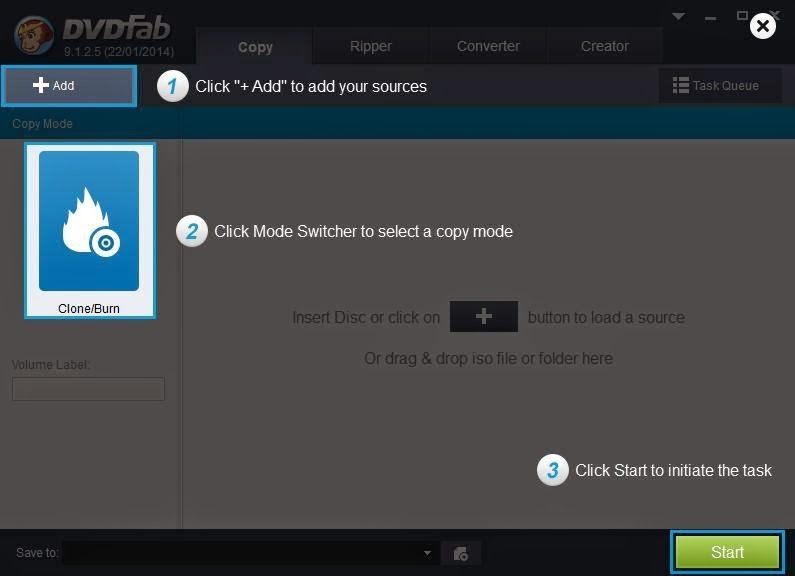 DVDFab is popular for rolling out softwares that dictate the market and the culture of the industry. The credibility it exercises at the market is high and sound. It is the sole reason why there is a huge expectation before every software that is rolled out by this company. One of its much anticipated software is called the DVD Copy Software. By using the software, it feels that the developers have not left a single footmark of complacency while making it. There is no margin for error. It has been acclaimed by the critics and hails in the market high. The win factor about this DVD Cloner is the ease of usage. Even if the user is not well verse with the DVD copying process, he can use the software to a good effect, thanks to the easy and simple interface of the software. The protection factors are all cornered while using this software and hence you can copy the DVD without worrying too much about the protection policy. You can not only copy the DVD into another blank DVD but also the hard disk. This proves to be one of the best features of the software. The copied files are saved in the .iso format which makes it easier for the user to burn it later in the format of his own desire. It can burn any type of DVD, such as DVD+R/RW, DVD-R/RW, DVD+R DL and DVD-R DL. While copying the DVD in the 1:1, the quality is hardly disturbed. It is extremely easy and fun to use this software and this is the reason why people are inclining towards it while ignoring the other prospects in the market. Internet connection required to register DVDFab 9 products (little network traffic used). You can keep all the other DVD copying softwares on one side and the one developed by DVDFab on the other side. It is a claim that the DVDFab software will win by a fair and square margin. While making the software, the developers have made sure of every aspect and each problem that a user can face potentially. Therefore, the users find it easy and fun to use this software. Go and grab a copy of the software to feel the change in the world of DVD copying.